We have just delivered a new MI8 in Estonia, east of Europe. A very important challenge that we managed to finally bring to the harbor with patience, attention and innovation. 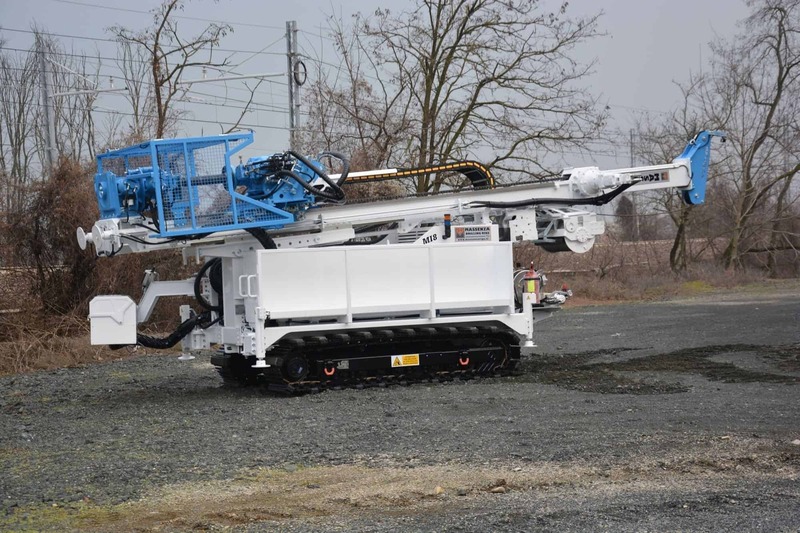 The request received by the customer was to have a custom drilling rig, suitable for water wells, mining research, geotechnics, which met stringent parameters: the machine in question, in fact, had to be CE certified, able to perform 45 ° inclined wireline coring. 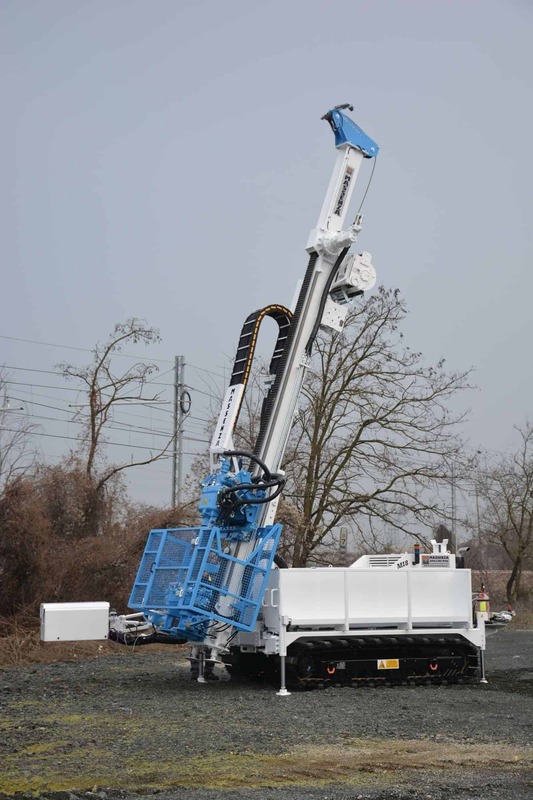 up to 800-1000 m with NQ rods and drilling with continuous flight augers (up to 20 m depth and 114 mm diameter). 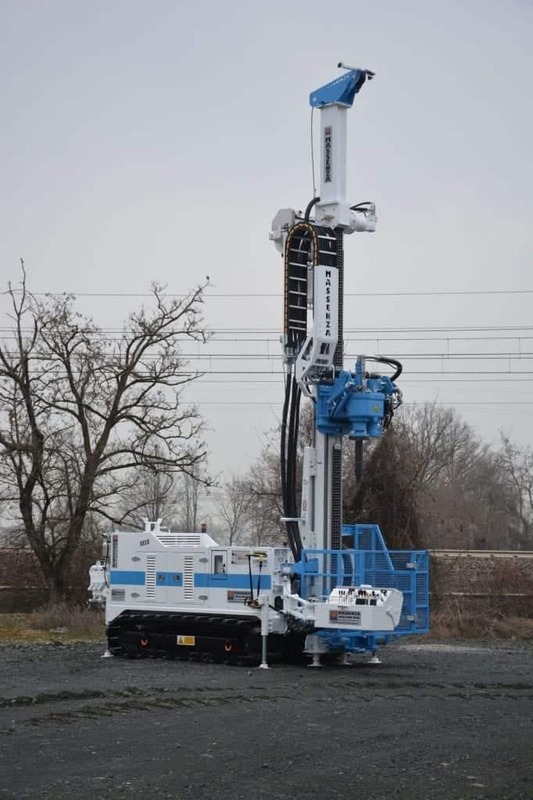 In addition to this, the request included, among other things, that the drilling machine could also make water wells with DTH hammer (114mm and 178mm) and reverse-circulation system. Since the geological situation of Estonian soil is very complicated and varied, the drilling machine necessarily had to be able to work in all types of terrain. Not only that: usually the climatic conditions in Estonia are rather humid and there is abundant presence of temperate forests, the yards can be positioned in areas of difficult access, with muddy bogs. 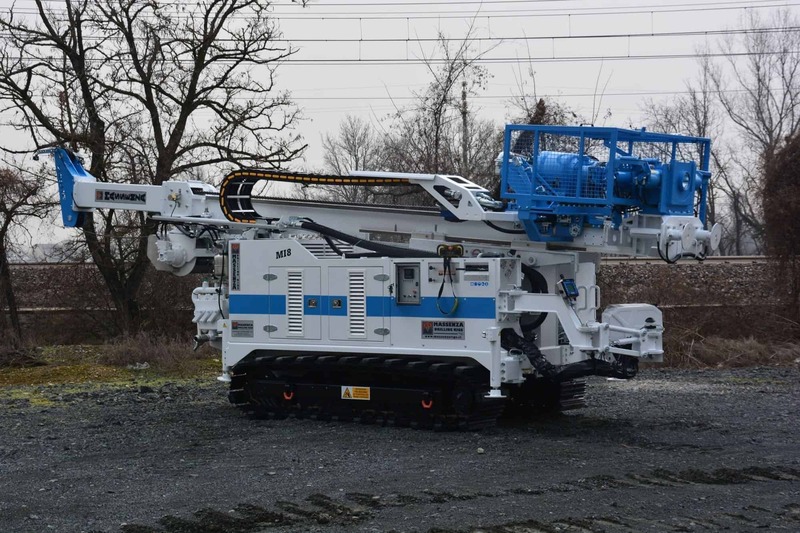 For these reasons, the customer had requested a tracked car with a specific ground pressure that would allow access to any working area, even the most difficult soil conditions. - Engine VM with max power HP 107(79 kW), in accordamce with regulation STAGE III B / Tier 4 interim. - Hydraulic control panel on the arm. - Ability to perforation at an angle up to 45 °. - Winch wireline with 1000 m of rope. - Double hydraulic clamp with hydraulic centering and 310mm passage and dust cover. - Casing puller with pull 25000 kg. - Multi-purpose head of Eurodrill RH 15 X 8-speed model with maximum torque 10660 Nm and maximum speed 1000 RPM. - Triplex water pump with maximum flow 200 l / min and maximum pressure 50 bar. - Foam pump with maximum capacity 50 l / min (13.20 Gpm) and maximum pressure 50 bar (725 psi). - Lubricator with capacity 25 m3 / min and max pressure 30 bar. 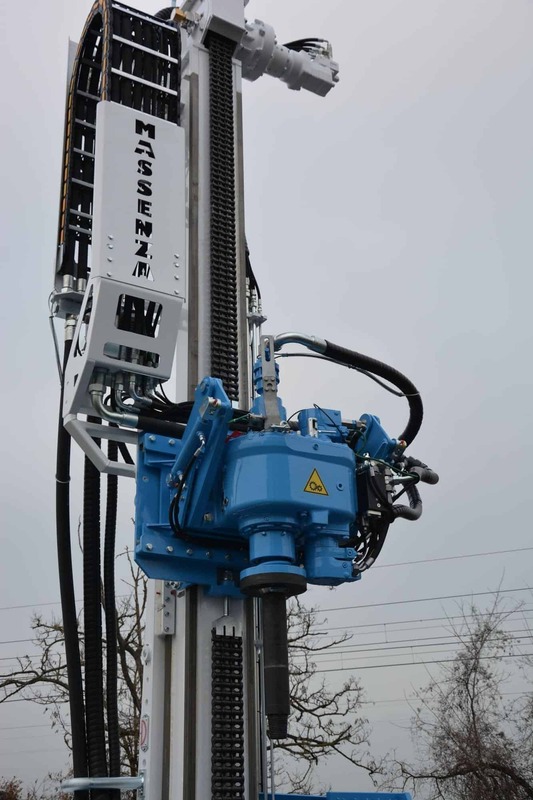 - Rod container mounted on the side of the drilling machine and easily dismantled for N.10 PQ rods 3 meters long. 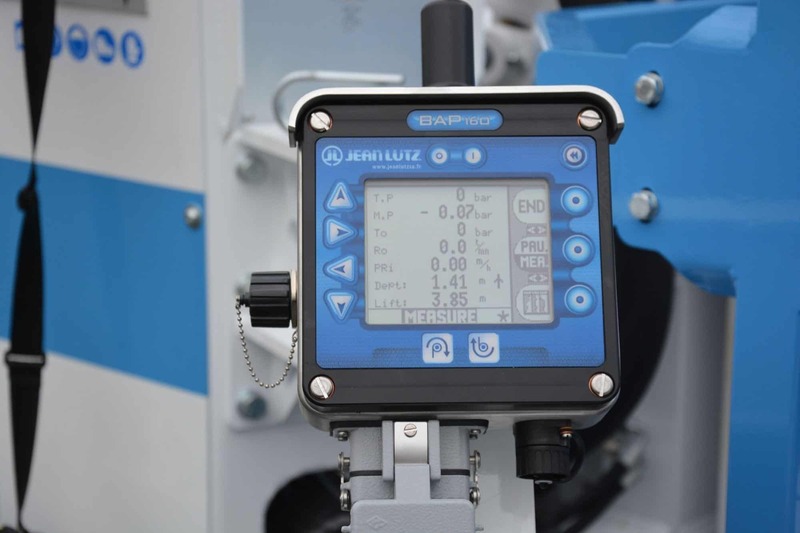 - Registration system for drilling parameters. 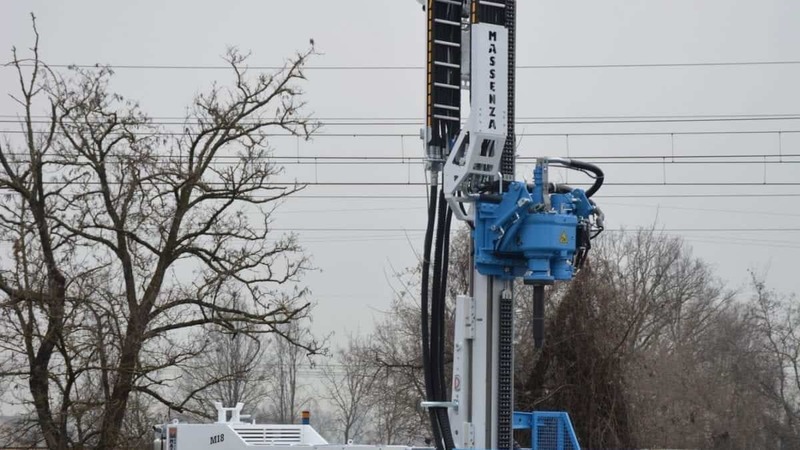 The real challenge was to create an MI8 machine that would meet all the needs of the customer and that could act on the difficult conformation of the ground, therefore customized in all respects, and we are really proud to be able to present it on the market after all the team work Massenza.